Cats are animals which have been highly popular among humans for hundreds of years. The popularity of cats may have started in the land of Egypt where our feline friends are widely worshipped. Cats have become symbols of power and were the preferred pet of royalties and pharaohs. Since then their popularity has never really faltered and until now they are still one of the most popular animals that humans love and adore. This article provides you a list of some of the most popular cats in history. Who doesn’t know Garfield? This chubby, lasagna-loving orange tabby was created by artist, Jim Davis. He first appeared in comics in 1978. His irreverence and humor won the hearts of millions, thus prompting Jim Davis to create a cartoon show, Garfield. The merchandising empire which showcases Garfield is known to reap up to $1 billion a year. This simply shows how popular this tabby cat is among millions of people from all over the globe. These two cats were lucky to have gotten belly rubs and cuddles from one of the most influential presidents of the United States, Theodore Roosevelt. Among all the presidential cats that lived in the White House, Socks probably is the most popular of them all. He is the lovable and cuddly cat of the 42nd US President, Bill Clinton. Socks was so popular that he even had his own cartoon show and was the main character of one of First Lady Hillary Clinton’s children’s story books. One of the most popular cats of the big screen is Cat, Holly Golightly’s feline friend of Breakfast at Tiffany’s. 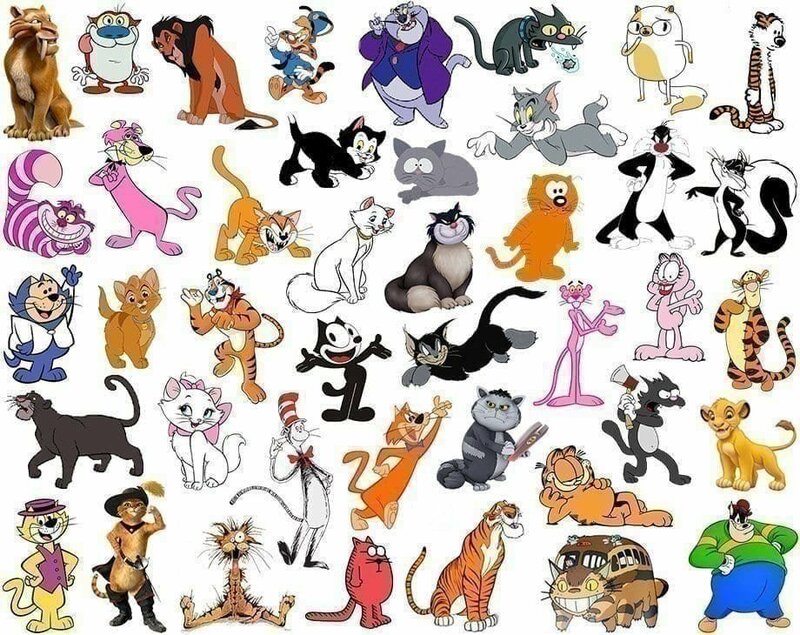 Although a fictional character, this silent, rose-pink feline have made waves since his movie debuted in 1964. The Pink Panther is just as witty as humans as evidenced by his ability to escape dangers and disaster in the nick of time. With millions of views on YouTube, tell me who doesn’t know about Maru? He is a chubby bubbly cat living in Japan. If you haven’t noticed from all of his videos online, Maru loves playing with boxes and is a very smart cat too! Colonel Meow is a hairy Himalayan-Persian cat with an angry expression on his face. Just recently, Colonel Meow was recognized by the Guinness Book of World Records as the cat with the longest fur which measured at an average of 22.89 centimeters. Tardar probably has the most number of memes online. As his name implies, he has a very grumpy looking face which made him a sure hit among millions of people. Despite the grumpy image, Tardar’s pet parent claims that he is actually a very sweet and affectionate fur baby. There are many versions of Kitlet that have come up online. Essentially cats that feature black mustache markings resemble the Third Reich’s infamous leader, Adolf Hitler. The popularity of Kitler even prompted the development of a website, catsthatlooklikehitller.com in 2006.